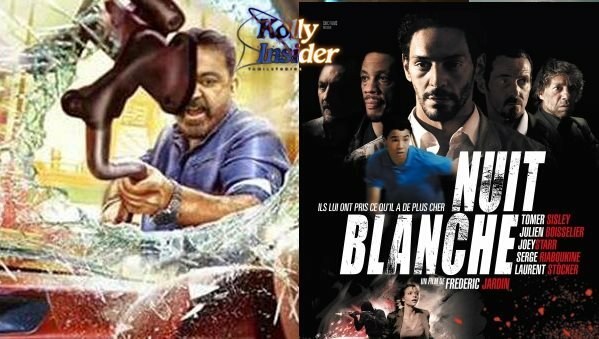 Actor-filmmaker Kamal Haasan's upcoming Tamil-Telugu thriller "Thoongaavanam" is reportedly said to be the official remake of French film "Nuit Blanche" aka "Sleepless Night". "Kamal's 'Thoongaavanam' is a remake of a foreign film. However, it's not clearly known which film it's based on as Kamal plans to reveal the news only before the film's release," a source told IANS. Another source told IANS that it could be the official remake of "Sleepless Night". The Frederic Jardin directorial film, released in 2011, shares a story about how a policeman has to save his son and his own reputation in a single night. "Thoongaavanam" is also said to be the story that unfolds in a single night in a bar. Haasan plays a policeman, too. Interestingly, French stunt choreographers Gilles Conseil, Sylvain Gabet and Virgine Arnaud, who have been hired to work in "Thoongaavanam", had also worked in the original. The stunt team recently shot a high-octane chase sequence on the outer ring road in Hyderabad. Haasan's long-time associate Rajesh Selva is directing the film, which also features an ensemble cast of Trisha Krishnan, Prakash Raj, Sampath Raj, Kishore, Madhu Shalini, Uma Riyaz and Yugi Sethu. The film is titled "Cheekati Rajyam" in Telugu and is being produced by Kamal himself.